The community-led project will study the upper Whiteadder valley between Duns and Garvald. Not only does the project aim to uncover hidden history of the area it will also see an app and website developed which will bring it to life as part of a heritage trail. In addition to accessing existing 3D laser scanning data on the area, new scanning will be carried out and eight sites identified for excavation this summer. The community will act as ‘citizen scientists’ and will help to analyse the 3D scanning information and select sites for archaeological excavations and have the opportunity to take part in these too. 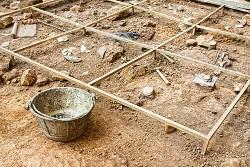 AOC Archaeology have been appointed project managers and for more information on how to get involved you can contact [email protected] or 0131 440 3593. “This is a fascinating project which will hopefully leave a lasting legacy that will benefit the economy of the area by encouraging more visitors to explore what was once an important route between the Lothians and the Merse, and I’d like to thank the funders for their help in making it happen. “This is a unique opportunity for the communities of Berwickshire and East Lothian to come together to explore our shared history going back to prehistoric times. “The area between Duns and Garvald, which follows much of the Whiteadder Water, is littered with historical sites, from the more well-known ones such as Edin’s Hall Broch and Abbey St Bathans Priory to those of less prominance, including various stone circles, hill forts and historic farmsteads. The 3D scanning data to be used comes from LiDAR (Light Detection and Ranging). This aerial laser scanning technology provides a highly accurate picture of base ground level features and able to penetrate thick vegetation and even tree canopies. More information on the technology and its application in archaeology can be found on the Historic England website.